Josephine was a hard working waitress in a very fancy French restaurant. Her dream was to one day become a chef. But that dream was cut short by an unfortunate series of events. Not one to give up so easily, she decided if she wanted to make her dream a reality, she would have to take a chance and do it on her own terms. Finding a beat up food truck that was home to an abandoned puppy, Josephine put all her savings into repairing it, ready to go cross-country to bring fine dining to wherever she roamed. Use your Match 3 skills to help Josephine and her lovable companion Biscuit, complete delicious recipes for her customers and grow her business country-wide. Become a Match 3 Master Chef and use the finest ingredients to cook up a storm. 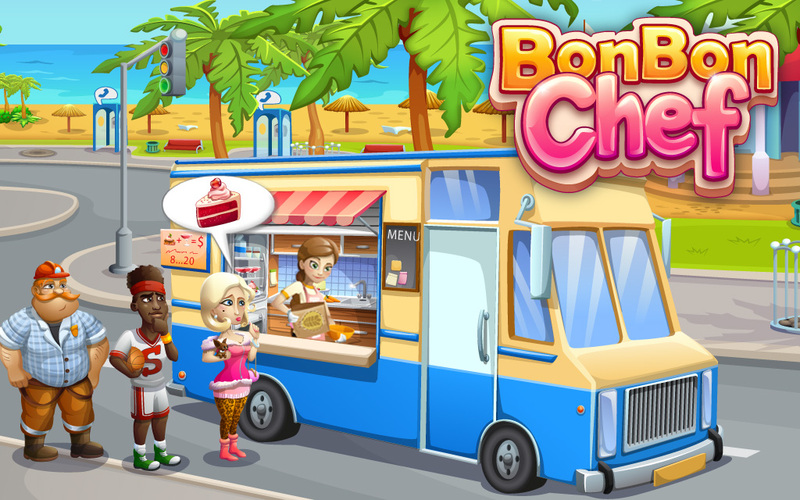 With fun and challenging Match 3 levels you will sweat it out in the kitchen alongside Josephine and Biscuit. Happy matching!